Confirmation is the final Sacrament of Christian Initiation that connects you to Jesus Christ. This began with Baptism and continues through participation in the Eucharist. The Newman Community provides many opportunities to develop this Christian connection for confirmation. If you are a university or college student who needs to complete Confirmation preparation and receive the Sacrament, we invite you to join the Newman Center Confirmation Preparation Process. 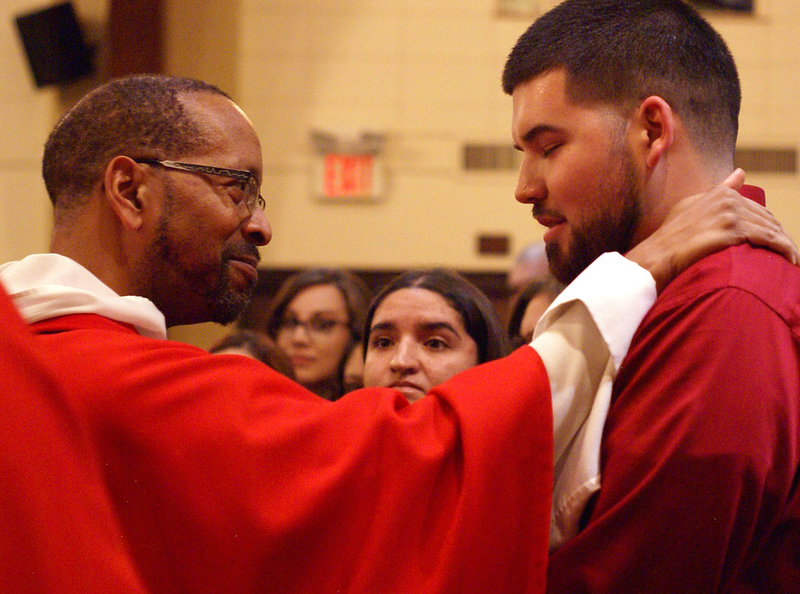 The Bishop of Tucson has given the Newman Center permission to prepare college-age students for the Sacrament of Confirmation in a concentrated time-frame. The sessions are completed in less than a semester. Because it is a short amount of time, we must assess a student’s motivation to complete Christian Initiation and insist that every student be present for every class during the eight week period. High School Seniors who are registered members of the Newman Center are also given consideration to participate. To sign up for our Confirmation class, please fill out the Confirmation Application and email it to: confirmation@uacatholic.org with “Confirmation Inquiry” in the subject line. $30 Program Fee to cover the cost of materials. You can pay by cash, check or debit/credit card at the Newman Center Front Desk after any of the weekend Masses or between 9AM and 4:00PM during the week.